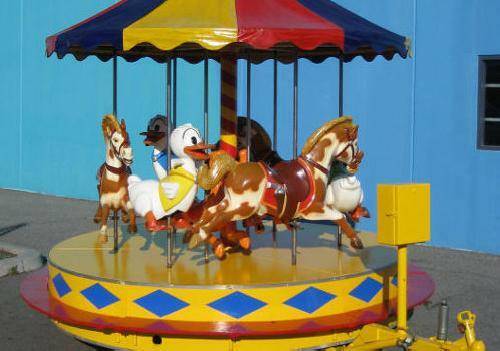 The childrens carousel is a traditional merry go round ride with dancing horses and ducks. Seats 8, compact enough to fit in some indoor locations or great at any fete, fair or festival. 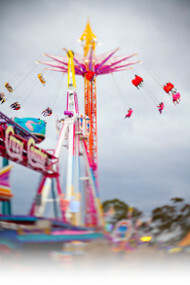 Even small children feel comfortable on this gentle ride that is suitable for birthday parties or small fetes. 4.2 metres diameter fence to fence plus queuing area. 1 x 10 amp outlet within 20 metres. 1 hp motor plus lights.